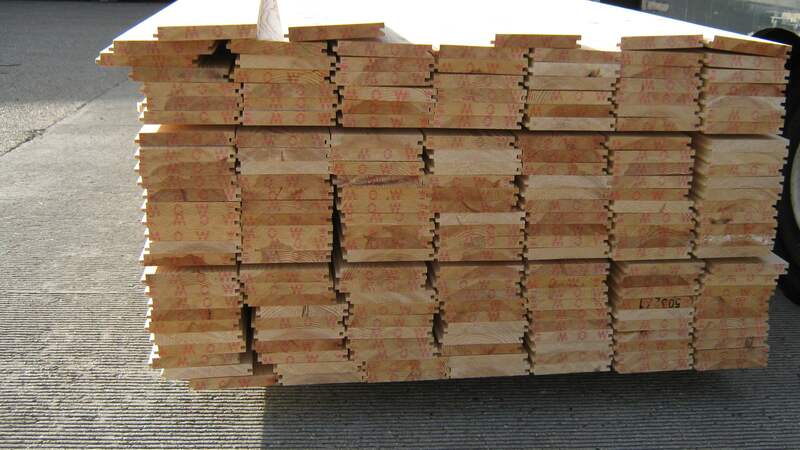 Our branches offer Tongue & Groove softwood flooring. Its machined at our Timber Centre's in Poole and Wickham from a 5th Scandinavian Redwood. Redwood, due to its grain, gives a much better machined finished and is graded on its visual attributes. 5th Grade (what we call as standard grade) still maintains the smooth finish of unsorted, but has a slightly higher knot content. Boards can be nailed directly into floor joists and protected with a varnish for use as a natural wood floor. For more information about our Tongue & Groove flooring then please do get in touch with your closest branch.